by Brianna Crandall — January 21, 2019 — Delta Scientific, manufacturer of counter-terrorist vehicle control systems used in the United States and internationally, just announced its new DSC1500 portable beam barricade that sets up quickly and temporarily to block vehicles. The new portable barricade secures locations during short-term events and anywhere a beam barricade is needed for interim security. With a clear opening of 16 feet (4.8 meters), the DSC1500 is M30 certified, able to stop a 15,000-pound (66.7 kN) vehicle going 30 mph (48 kph). Many organizations have the need for easy to install, temporary drop-arm barriers that can install within 10 minutes to transitorily close down a roadway to one or two lanes or block parking lots exits to deter thefts. Previous beam barriers had to be filled with sand, gravel or cement to be operable. To remove the DSC1500 from its temporary site, it is simply repacked in 10 minutes. The DSC1500 tows into position to control vehicle access within 10 minutes, says Delta. No excavation or sub-surface preparation is required. Once positioned, the mobile barricades unpack themselves using manual hydraulics to raise and lower the barriers off their wheels. A self-deploying trailer with integrated lifting device facilitates rapid installation. The process is simply reversed when the event is over or the time comes to deploy the beam barrier at another location. For one-time uses, a lease plan has been created where organizations can simply lease the portable barriers, use them, pack them up and return them. Delta always keeps an inventory for purchase and quick delivery at its manufacturing facility in Palmdale, California, since the barriers are often needed for events that come up quickly, such as emergency road or bridge construction or unexpected parking lot requirements. 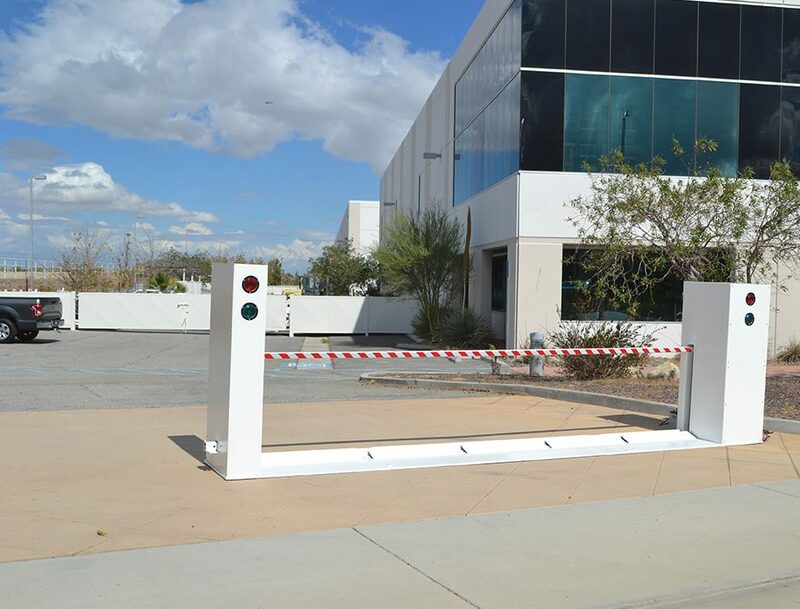 For more information about the DSC1500 portable beam barricade or Delta’s other high-security vehicle barricade systems, parking control equipment and guard booths, visit the company’s website.